With the beginning of the New Year, it’s time to set your new goals and realise your dreams. 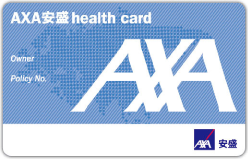 As your encouraging partner, we are pleased to present you the AXA “Fortune Blossom” Programme to enable you to achieve your savings goals easily! 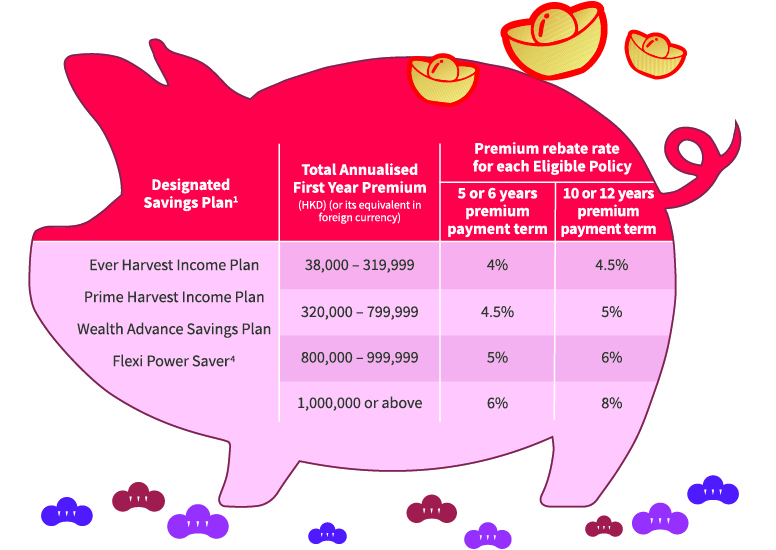 From 1 January 2019 to 22 February 2019, if you successfully apply for any new designated savings plan and its supplements¹ (if applicable) with a total annualised first year premium of an amount meeting the below requirements, you may enjoy up to 8% premium rebate² for each Eligible Policy³. Act now and have a prosperous start of the year! Terms and conditions of this promotion apply. For details, please refer to the relevant promotion leaflet. 1. For product details of the designated basic plans and supplements, please refer to the relevant proposals, product brochures and policy contracts. 2. For details of the premium rebate, please refer to clause 3 of the terms and conditions stated in the relevant promotion leaflet. 3. For details of the Promotion, please refer to the relevant terms and conditions stated in the relevant promotion leaflet. 4. The Promotion is not applicable to Flexi Power Saver – 1 Pay 12.